An open-world Western adventure for two. Adult Swim Games has launched an upgraded Steam version of developer Ostrich Banditos' stylishly pixelated open-world adventure game Westerado, greatly expanding the original game's storyline and adding a co-op multiplayer mode. Westerado: Double Barreled begins with players witnessing their family's slaughter at the hands of a mysterious desperado. The game's hero then sets out on a journey for vengeance, searching nearby towns for clues and shaking down the locals for information, either through diplomacy or at gunpoint. 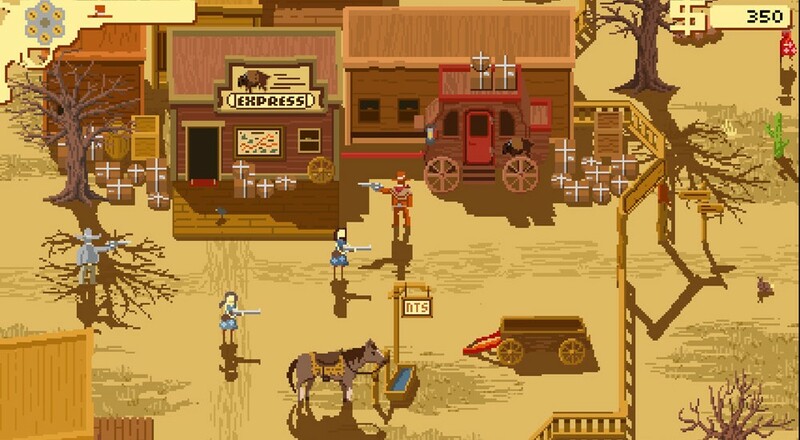 Originally released as a free browser-based game, the expanded Westerado now features a couch co-op mode that allows two players to take on the game's challenges simultaneously. This promises to change the gameplay dynamic in an interesting way, as the game's battles often find players outnumbered and out-gunned. If you have a partner handy, it will definitely help to deputize them for this one. Westerado: Double Barreled is available for PC and Mac platforms, and is priced at $11.99 during its launch week.